Come take a break from your studies and have a fun. 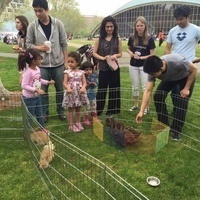 We have lots of great, free activities: inflatibles, petting zoo, zumba, lawn games, mounted rangers, cotton candy, barbecue, table activities, sno-cones, and music. Event is open to the MIT Community. Bring your MIT ID.